I tried making my own végépâté, it turned out pretty good, but so far nothing compares to the one from Fontaine Sante. 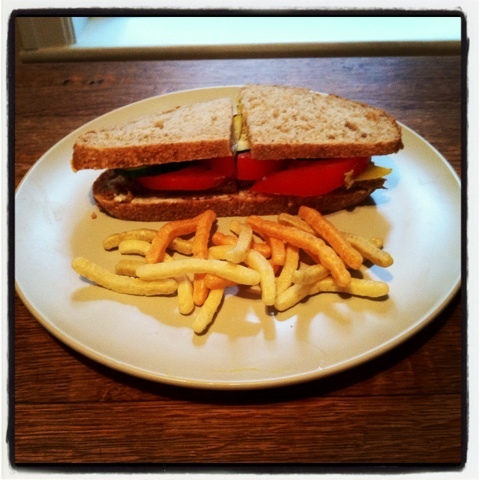 It makes the perfect sandwich with tomato, pickle, cucumber, Vegenaise, mustard. Served with a side of Veggie Stix. 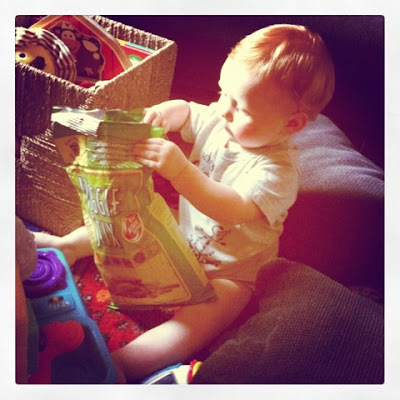 Levi's favorite - Veggie Stix from IGA - and they're Kid Kritics Approved! Posted in "Vegan", "vegan challenge", "vegetarian restaurants"